Insane Clown Posse takes on FBI | Fight Back! Detroit, MI - The American Civil Liberties Union of Michigan and the Detroit music duo Insane Clown Posse (ICP), filed a federal lawsuit Jan. 8 on behalf of Juggalos, or fans of ICP, saying their constitutional rights to expression and association were violated when the U.S. government wrongly and arbitrarily classified the entire fan base as a “hybrid” criminal gang. 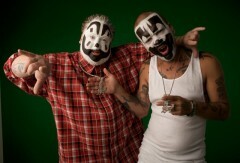 The lawsuit was filed on behalf of four Juggalos and the two members of ICP. In 2011, Juggalos were officially identified as a "hybrid gang" by the U.S. Department of Justice (DOJ), when the fan group was included in the DOJ’s third National Gang Threat Assessment. As a result of this unjust designation, “individual Juggalos are suffering improper investigations, detentions and other denials of their personal rights at the hands of government officials” or denied employment, according to the lawsuit filed in the U.S. District Court for the Eastern District of Michigan. The lawsuit asks a judge to order the DOJ to remove the Juggalos from the government’s list of gangs so that the fans of ICP will no longer be unconstitutionally and unjustifiably singled out as targets for scrutiny and harassment by law enforcement authorities throughout the country. The lawsuit goes on to assert that the DOJ’s classification of the Juggalos as a gang is unconstitutionally vague and violates the Juggalos’ constitutional rights to association and speech. 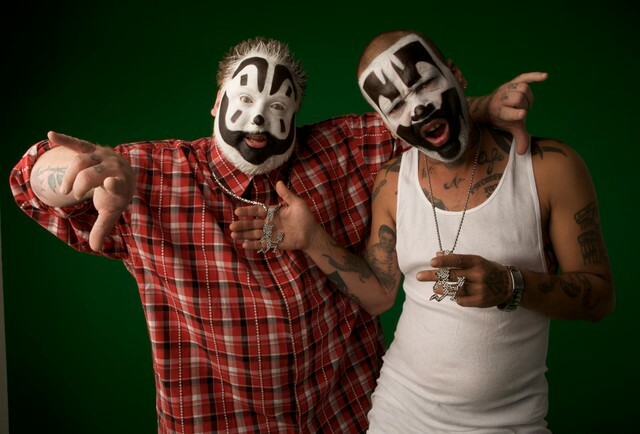 In 2012, attorneys representing Insane Clown Posse and their record label, Psychopathic Records, filed a Freedom of Information Act lawsuit against the FBI to obtain records the federal government used to justify officially designating Juggalos as a criminal gang. When those documents were finally released, they contained nothing that would warrant labeling all Juggalos as a criminal gang.